There is nothing quite as magical as the jellyfish! The way they are shaped they way they glide along with the ocean currents is truly fascinating. If you like Sea Jellies as much as we do, there is no better place to find them in So Cal than at Aquarium of the Pacific. We recently took a trip to Long Beach with family and we had a blast. 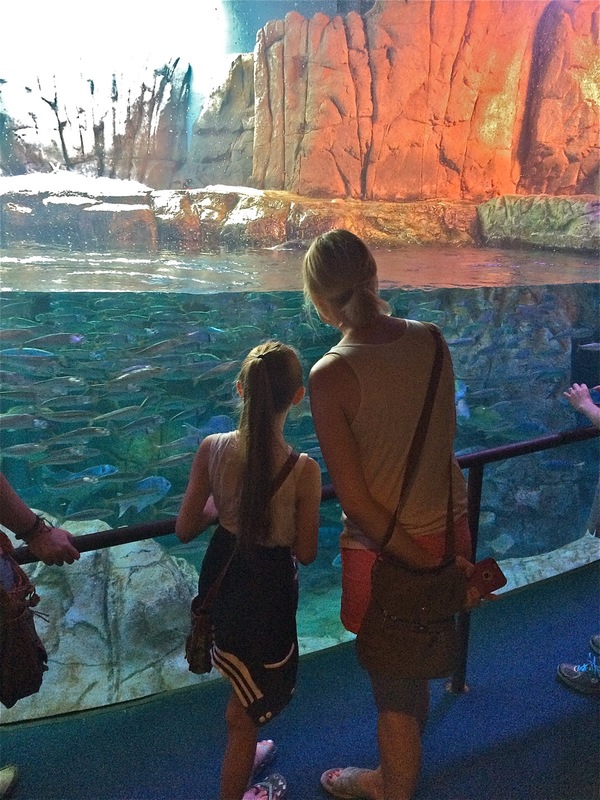 It has been awhile since our last trip and we were really looking forward to seeing all that's new at the Aquarium. It my youngest daughter's 8th Birthday and we celebrated by visiting with fish, turtles, eels, crabs, and more! Fresh Tip: Make sure to ask for a Birthday button while you are there celebrating a Birthday in your group. 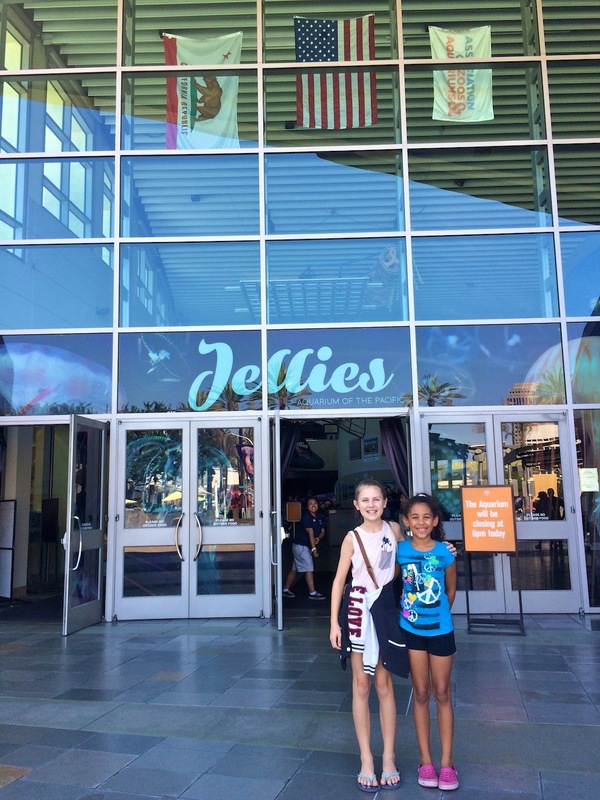 We were most looking forward to seeing the new sea jellies exhibits and programs. The kids were eager to discover more about these mystical creatures from under the sea. We were all mesmerized tank after tank of these amazing creatures. It's easy to see why sea jellies are among the most popular subjects for photographers at the Aquarium. I literally couldn't stop taking photos and videos of them! 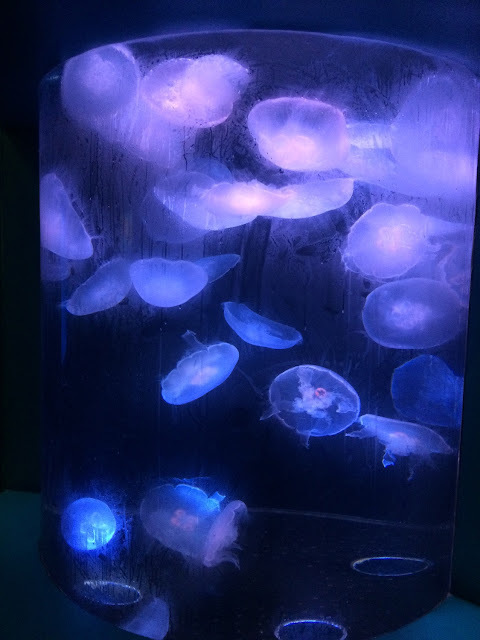 My daughter and my niece had fun petting them (two finger touch please) and described they way they feel as smooth, and like jelly. It's hard to believe that they don't have a heart, brain or lungs. There are currently two films that feature jellies now playing at the Aquarium of the Pacific, make sure to check them out. 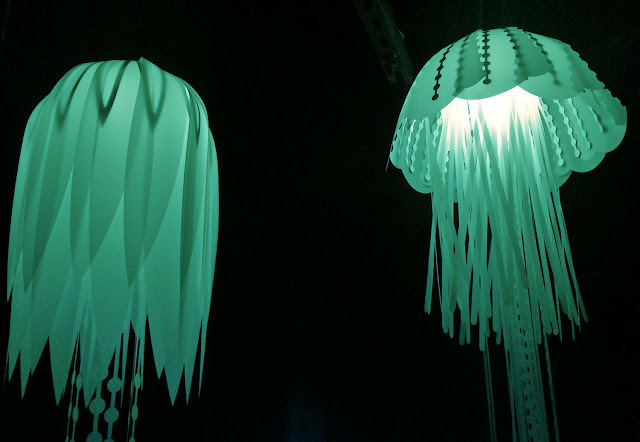 In the Great Hall you can see "World of Jellies" and "Jellies: Transparent Travelers Through Time" plays in the Ocean Theater. What is a Sea Jelly? Jellies and comb jellies have lived on Earth for at least 500 million years, making them three times as old as dinosaurs. 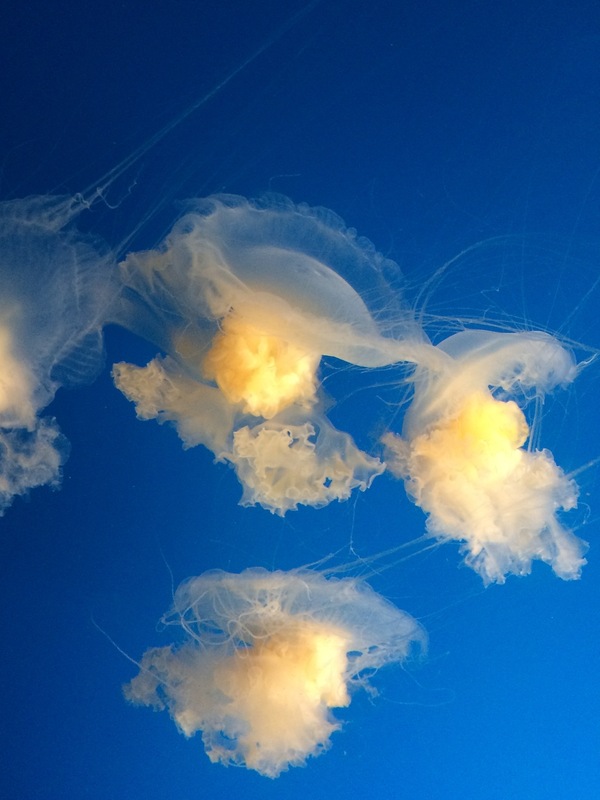 Sea jellies survive without a heart, brain, or lungs. They are 95 percent water, and their movements are governed by the flow of the water they live in. 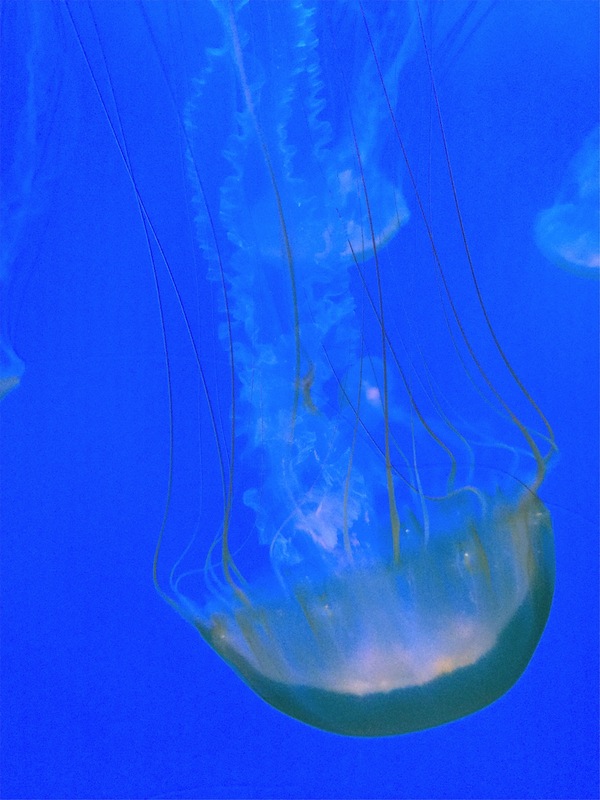 Jellies play an important role in the ocean as food for other animals, like sea turtles and mola molas. Humans also rely on jellies for food and other uses. They are also considered an indicator of ocean health. While sea jellies have the simplest anatomy of almost any animal, they have complex and varying lifecycles and reproduce both sexually and asexually. 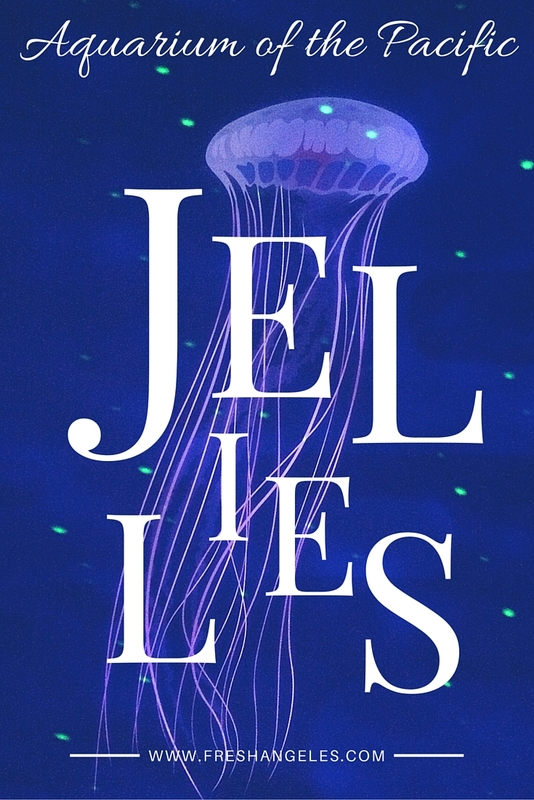 Different jelly species reproduce in different ways. 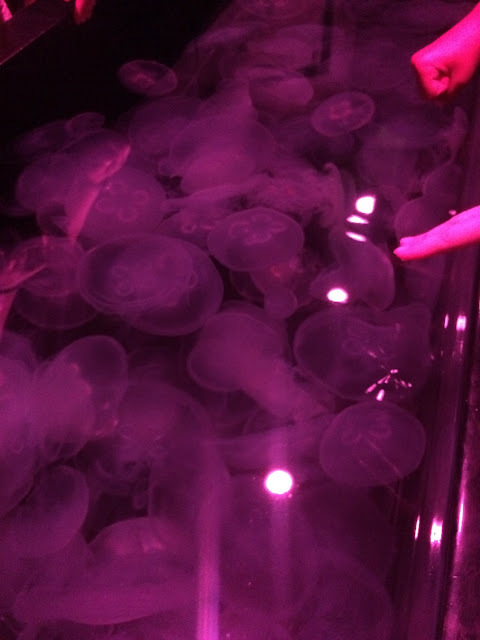 The public can help track jellies as citizen scientists. At jellywatch.org, people can learn about the jellies they see along the coast while providing important scientific data. Jelly blooms are not currently tracked in any permanent record. Citizens can help scientists by reporting their observations. Adopt a sea jelly and receive a certificate and photo of your adopted jelly, an animal fact sheet, invitations to special events, and more. 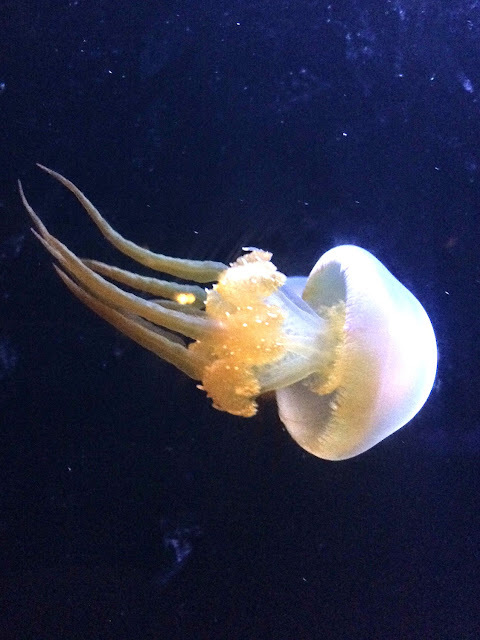 When you adopt a sea jelly, your donation helps to fund the Aquarium’s education and conservation initiatives, environmental programs, animal rehabilitation research, and important animal breeding efforts. Your adoption ensures that our living collection receives the best possible animal care available, including food, medical treatment, and housing. Petting Pools with sharks and bat rays in the Shark Lagoon which features more than 150 sharks. Fresh Tip: Only some are ok to touch! Make sure you know the difference. LOL. 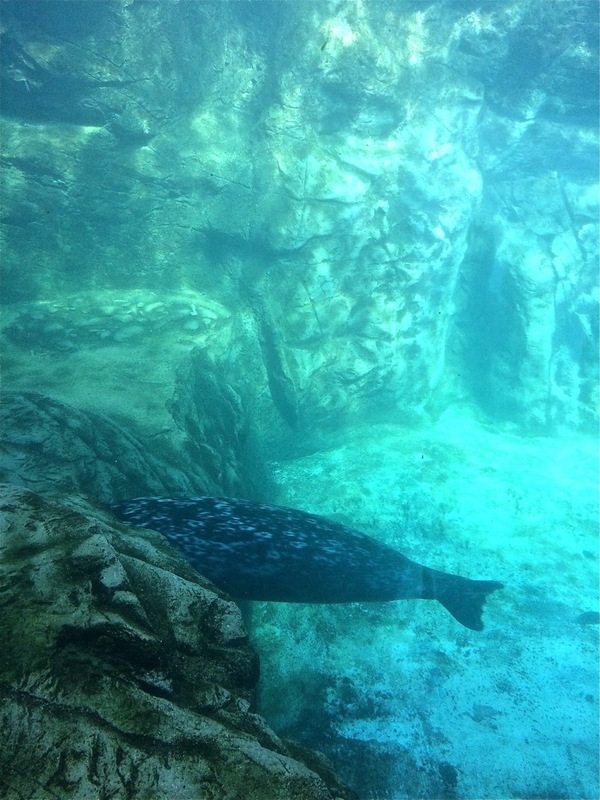 Splashing around with the silly and playful sea lions and seals. 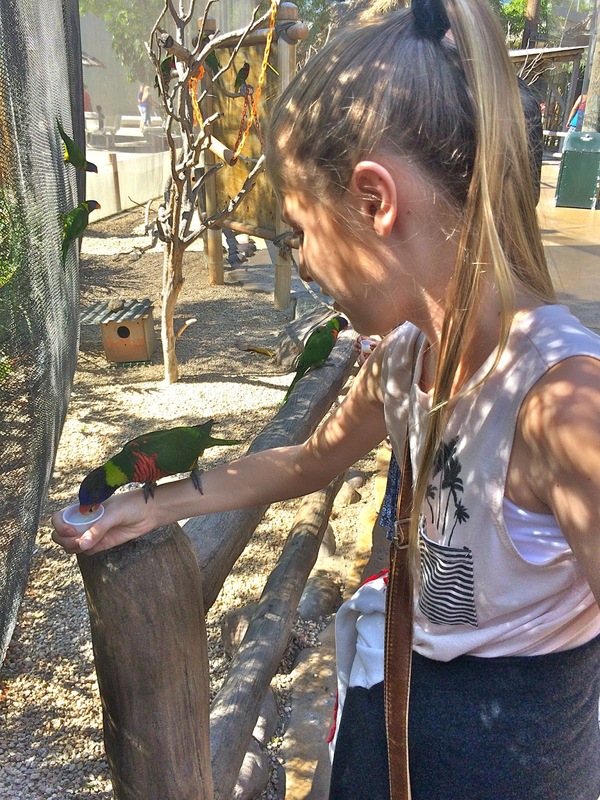 Feeding Lorikeets right out of your hand. Fresh Tip: Make sure to enter Lorikeet Forest when the birds are hungry, (via the sign out front) you'll be able to get more interaction from these colorful birds. 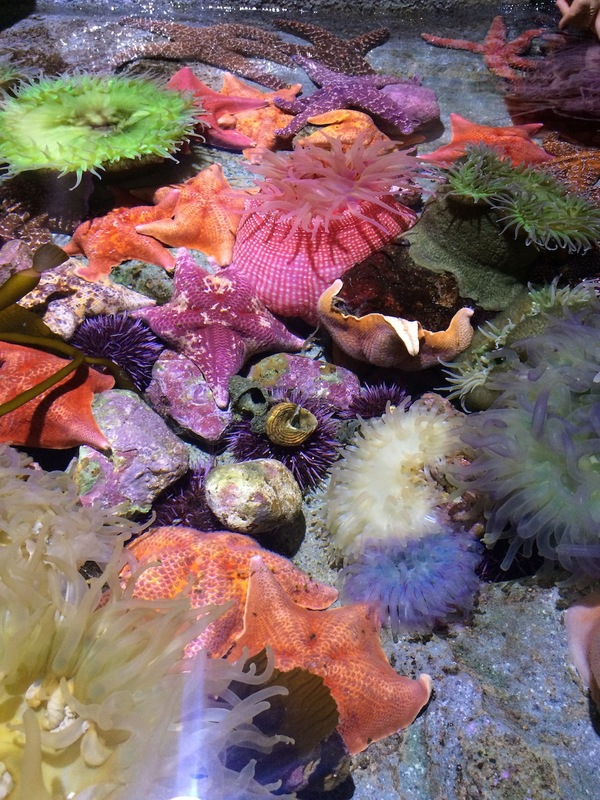 Getting a close-up look at colorful sea anemones and textured corals. You can even touch and feel this gorgeous marine life. Watching the Sea Otters roll around in the ice at the Sea Otter Habitat in the Northern pacific Gallery. Making a wish one of the pretty Starfish on display. Feeding time at the June Keyes Habitat, with all of the penguins including the newest addition, baby Lily. Our family had a wonderful day! We can't wait until our next trip! What are your favorite things to see and do at Aquarium of the Pacific? Leave your thoughts in the comments below. 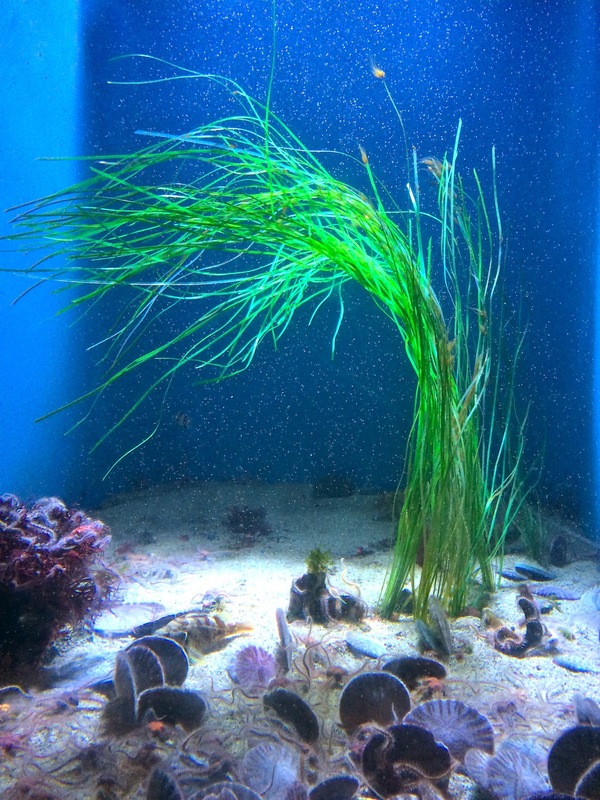 The Aquarium of the Pacific is located at 100 Aquarium Way, Long Beach, CA 90802. The Aquarium of the Pacific is open from 9am-6pm every day of the year, except Christmas Day (Dec. 25) and during the weekend of the Grand Prix of Long Beach (April 15, 16, and 17, 2016). Disclosure: I received guest passes for my family to attend the Aquarium and review the venue as a member of the media. The opinions on this blog are 100% Fresh and 100% my own. Thank you for reading my blog!